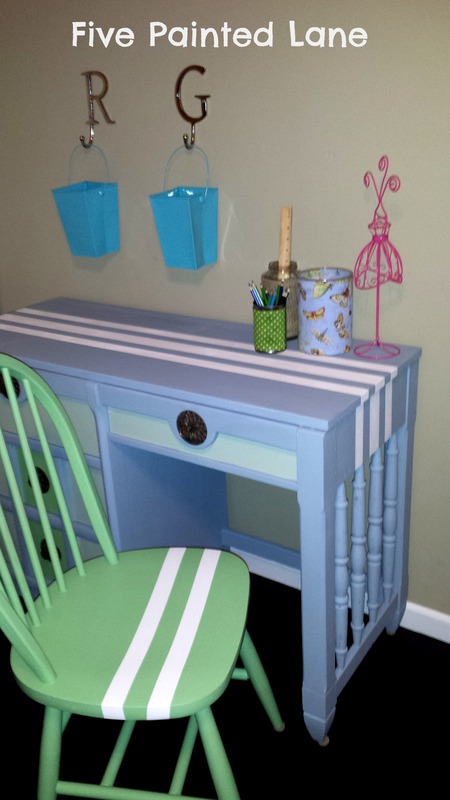 Ce Ce Caldwell’s Chesapeake Blue chalk + clay paint, and her Simply White for the stripes makes this desk special. 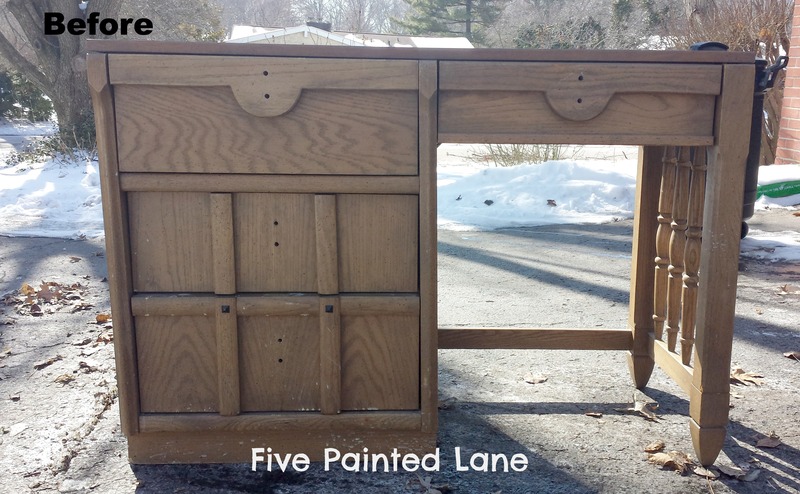 A desk and chair goes from boring to lovely. I have not been compensated by Ce Ce Caldwell for telling you about her paint. 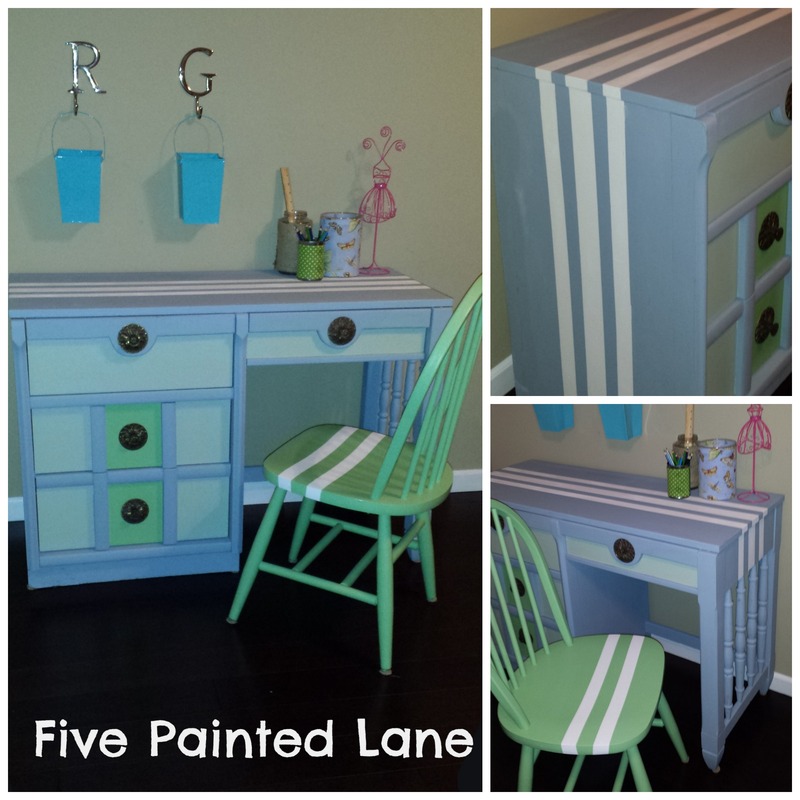 love the colors and the stripes really set it off. another beautiful job! Thanks for the kind words girls!